THIS IS A PROVEN LITTER!! PUPPIES ARE COMING!! This same cross has produced very successful dogs competing in both Canada and the States. 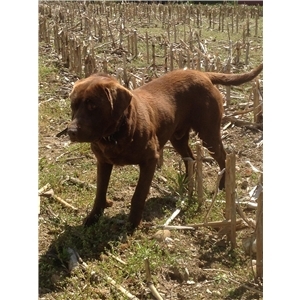 "Great Lakes Gundogs Major" x "Great Lakes Gundogs Gracie". Pups should be born on or around May 14th 2018. This paring brings together an incredibly strong NATURAL point, intelligence, awesome disposition, and level of confidence that is rarely seen. I have owned both the sire and dam since they were pups. Both dogs have been used as guide dogs for upland hunting, and have had 100's of birds shot over them - with a lot of the hunters being YOUTH. 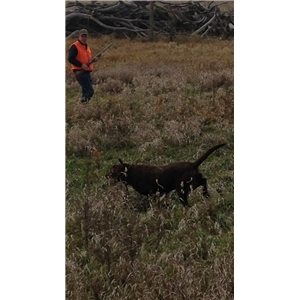 These pups are bred for competition and hunt tests and more importantly "pleasure hunting" and companions. Pups will possess that on and off switch needed to be both a good family companion and that explosiveness needed in the field. Both parents hunt HARD all day long, no matter the weather or terrain. They literally have no stop in them! 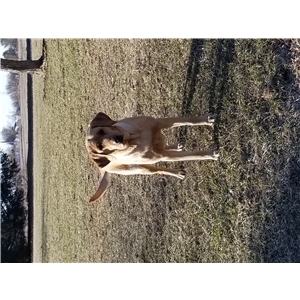 Gracie is a granddaughter of GRHRCH 4XGMPR HRK ROOSTER SMASHER and she is also a granddaughter of GRHRCH 4XGMPR HRCH Cams Prince Charming Duke on the bottom side. Pups will be vet inspected, have dew claws removed and will have all their shots and will be fully wormed. They will also be micro chipped. All pups will be socialized by our large family and will be introduced to birds prior to home placing. They will be ready around the first week of July. 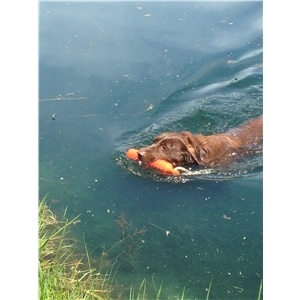 1 yr health guarantee on all our pups as well as OFA guarantee at 2 yrs of age. Price of pups is $850. Deposits of $200 are now being accepted. Multiple references available upon request.